David Luiz meets his former club in the round of 16 of this season's Champions League when Paris Saint-Germain host Chelsea on February 17th, 2015 at Parc des Princes Stadium in Paris. Both the sides are having a good run this season. Chelsea are leading the title race in England by seven points, and Parisians are one point behind the Ligue 1 leaders, Lyon, who have a game in hand. Paris Saint Germain had a slow start to the season as they drew eight out of twelve games in the beginning. It wasn't a strong start, given the standards they have set for themselves. But now in the last five matches they have won three and drawn twice, most recently vs. Caen 2-2 on Saturday, in a game where Ibrahimovic & co. held a 2-0 lead in the 89th minute of the game. On top of the heartbreak result, Laurent Blanc's side lost four players due to injury. Yohan Cabaye, Marquinhos, Serge Aurier and Lucas Moura are all likely to miss the Tuesday's big game. 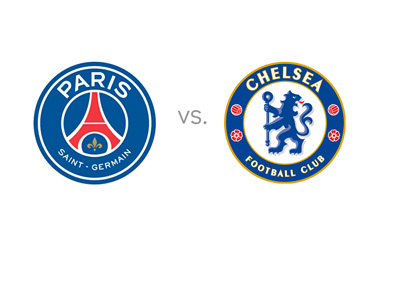 Chelsea's form is a bit inferior to PSG as they have won three and lost once in their last five games. Although, in the last five head to head matches, Chelsea have an upper hand. The Blues have won twice and PSG have won only once. It is a very familiar fixture as last season the West Londoners managed to sneak past PSG in the quarter finals courtesy of a 87th minute goal by Demba Ba. Chelsea won 2-0 at home and advanced on the away goals rule. In their meeting at the Parc-des-princes last season, Mourinho's side lost 3 - 1. Things are a bit different this season. Chelsea reached the semi-finals last season, mainly because of their defensive ability, but this time around they have accumulated one of the best attacking line-ups in Europe. Diego Costa is the main goal threat for the Blues and he is also the leading goal scorer in England with 17 goals. Cesc Fabregas has been a breath of fresh air at the Stamford Bridge this season. His ability to find passes is second to none. Eden Hazard has penned a new deal this week and he is certainly among the best players of the Premier League. But, PSG has Zlatan! You can't underestimate a team which has the likes of Ibrahimovic, Thiago Silva, Cavani, Pastore etc. But based on their run in the league this season, Chelsea are the favorites to go through to the next round.